One of the best parts of studying abroad is that you spend extended periods of time in a country and see sites or cities that might not necessarily be in all the guidebooks. China has a surprising number of holidays, of which my classmates and I have been taking full advantage. For our first, a few of my friends and I decided to head North to the Shandong province. Fun fact: Shandong is often considered the birthplace of dumplings (饺子 or 水饺 for those in the know), which totally definitely didn’t factor into our decision making when selecting our trip destinations. We spent each night in a different city, from Qingdao to Tai’an and Qufu, visiting places I did not even know existed until now. Qingdao used to be occupied by the Germans and is now home to the Tsingtao factory, producing one of the most popular beers in China. 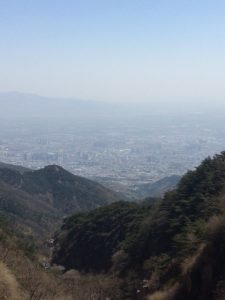 Tai’an is the site of Mount Tai, a UNESCO World Heritage site and ancient piligrimage for kings, while Qufu is the home town of Confucius, one of China’s most famous scholars. Our hostel in Qufu, located a mere five minutes from the city’s main tourist attraction, was no more than an addition to a family’s house; the bedroom for the son of the owners was across the hall from my friend’s room and the whole place was locked when the family went to sleep at midnight until 6 A.M. My friends and I were definitely a rare sight for most of the locals; the owner of the noodle place we hit for lunch even filmed us exclaiming positively about his food so keep your eyes peeled for my breakout acting role, coming soon to a WeChat near you. Making the decision to visit random towns has lead to some of my favorite memories from my time abroad thus far. A few weeks ago, CIEE took my fellow students and I to explore the Sichuan province. 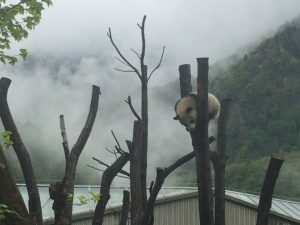 While some people may have heard of Chengdu, the province’s biggest city, we spent the bulk of our time in Wolong, a city nestled up in the mountains and home to one of China’s main giant panda research centers. Up in the mountains, the cool free air was a welcome respite from the ever present layer of smog in the big cities like Shanghai. Our first night, the bus driver taught us how to play MahJong, a traditional Chinese game that I’m told resembles the card game Gin. Our hotel had these fancy tables that shuffled the tiles for us but mahjong can be played anywhere with a flat surface; you’ll often see groups of elderly men and women gambling and playing ferociously in Chinese parks. The premise of the game is simple: make three sets of three (either three of a kind or a sequence of the same pattern/suit) and one matching pair. Everyone takes turns drawing tiles but the twist is in the ability to steal the most recently discarded tile if it completes one of your sets. Learning to play took some time, but by the time we called it a night, I felt like I might be able to hold my own for a round or two. 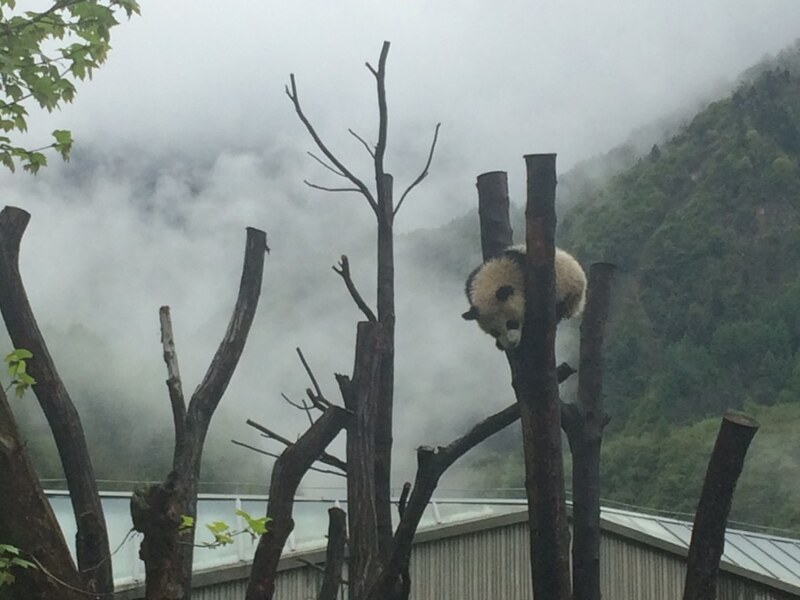 While in Wolong, we spent a full day volunteering at the Wolong Panda Research Center. First, we split into groups to clean their enclosures, which meant scooping the panda poop. Surprisingly, this wasn’t as gross as it sounds, mostly because panda poop is essentially processed bamboo with occasional bits of carrots. To clean and interact with the pandas, the center made us wear these oversized overalls that had us looking like we came straight from an Industrial Revolution-era factory. Having paid our dues and cleaned all the enclosures in the breeding area, we got to feed the pandas. 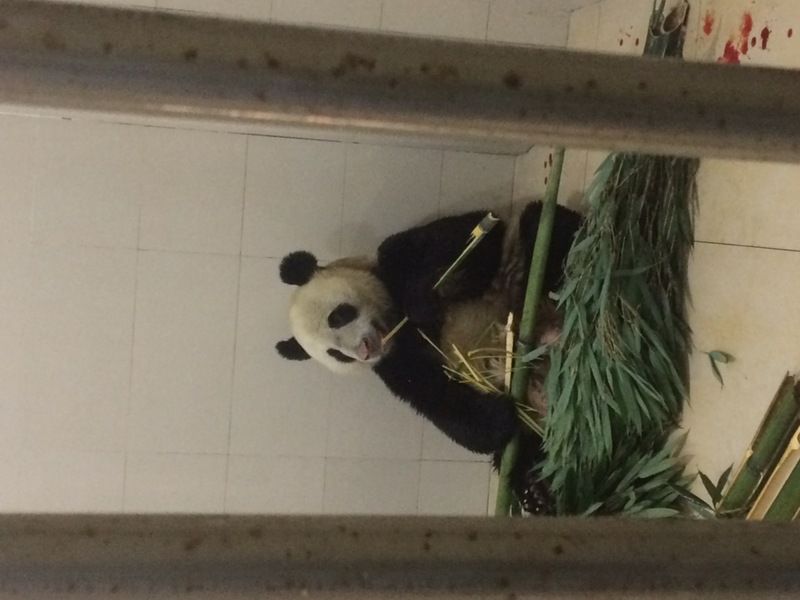 Watching the pandas eat was low-key mesmerizing. Some of their mannerisms were so human-like; to get to the bamboo shoots the pandas rip the sheaths off with their teeth. In addition to bamboo, the panda diet consists of carrots, apples and these multigrain based cakes, which we also learned how to make. While we were reminded time and time again throughout the day that pandas are beasts, the babies lazing about in treetops and rolling around in the mud were still incredibly adorable. 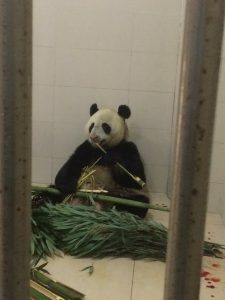 Being able to interact so closely with the pandas was unbelievable and just one example of the amazing experiences that can be found when you venture away from the typical tourist attractions.